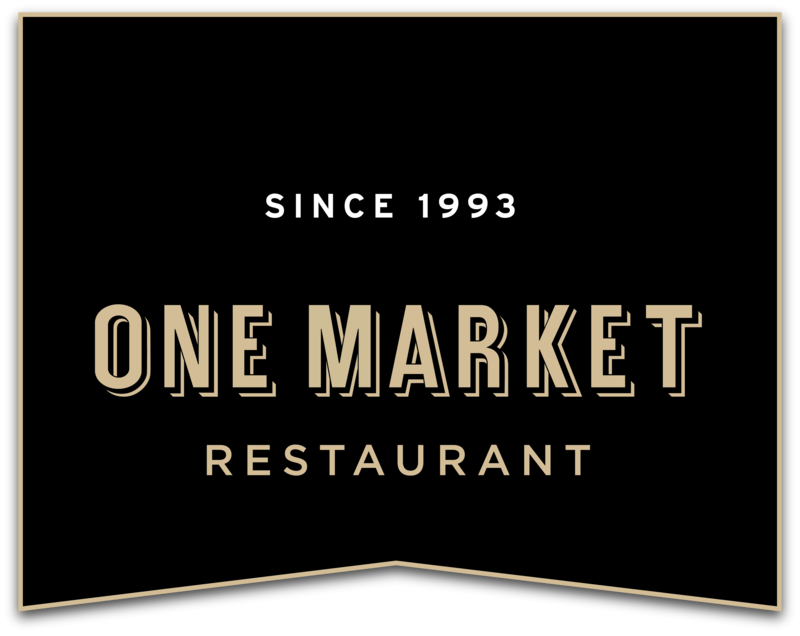 We have set aside a corner of the One Market Restaurant kitchen for a very special table: the Chef’s Table. Enjoy a unique seven course tasting menu served by the chefs themselves in the heart of the kitchen. Imagine dining at the home of a famous chef. Every dish prepared especially for you and served by the chef. You get a behind-the-scenes look at how our artfully crafted dishes come to life. In addition to a great meal, it is a lesson in the art of fine cooking. Forget the normal image of a hot, smokey professional kitchen. The kitchen at One Market Restaurant is unique. The Chef’s Table enjoys a commanding view of the Ferry Building clock tower across the Embarcadero through twenty foot windows – how many kitchens have picture windows? 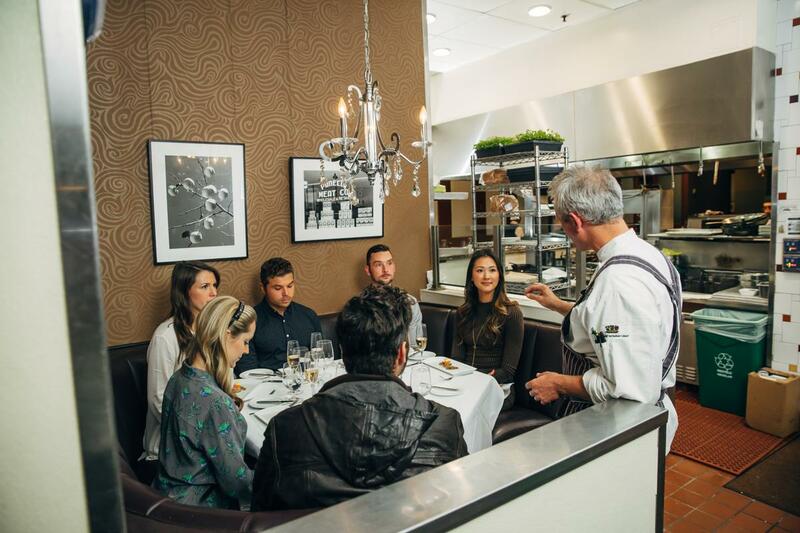 The Chef’s Table is reserved for just one group of up to seven guests at dinner. You will be guided through an exquisite tasting menu, each dish served by the chef or cook who created it. The meal always includes an in-depth tour of the kitchen and a “participatory course,” where guests don chef’s attire and help prepare one of the dishes. The Chef’s Table proves a rare treat for those who wonder how masterful chefs manage a busy gourmet kitchen like One Market Restaurant. Wines may be pre-ordered or selected course by course. The menu can also be adjusted to compliment a special wine. Recommended seating is at 6pm. Beverage, tax and gratuity are not included. The Chef’s Table accommodates up to seven diners (with a minimum of four). Not recommended for children under 12. Please call the restaurant directly at 415-777-5577 for Chef’s Table inquiries. Reservations made through Open Table requesting the Chef’s Table cannot be honored.